You know the drill: Just as soon as you finally get a pimple to go away, another one seems to pop up right in the exact same spot. Cue frustration now. If it seems like you keep getting the same pimple in the same spot over and over again, rest assured you’re not stuck in a Groundhog’s Day time warp. Getting breakouts in the same spot is a very real, albeit annoying, skin problem that can happen to anyone, anytime. But its not just a backup of oil and dead skin cells that can enlarge and inflame pores, Dr. Kazin says sometimes even external factors are at play, noting that wearing a sports bra, continually wearing certain hairstyles, frequently donning a baseball cap, and sleeping the same way can all cause breakouts in certain areas. Yikes! Continually seeing pimples pop up on your chin and jawline? You’re not alone. Dr. Kazin says this is a common area of concern among women and is likely caused by constant trauma from plucking hairs as well as hormonal acne. But that’s not the only reason breakouts might keep showing up. According to Dr. Howard Sobel of Park Avenue Skin & Spa, the chin is one example of an area of the skin frequently touched by the hands. Thankfully, you can treat a continuous breakout and even better, eventually say goodbye to it for good. The first step is to take action. “Try and keep the area clean, be more proactive, and have a maintenance regimen,” suggests Dr. Kazin. “Don’t wait for it to come back but preventatively treat the area!” She recommends a hydroxy acid or topical retinoid to unclog pores. Dr. Sobel also notes sulfur masks, like DDF Sulfur Therapeutic Mask ($45, ddfskincare.com), are great options for overnight spot treating. Lastly, if you’re worried that constant stream of breakouts might lead to scarring, think again. “When you get a blemish, the inflammatory process increases the production of the melanocytes, which is what you see as the red pigmented spot,” explains Dr. Sobel. 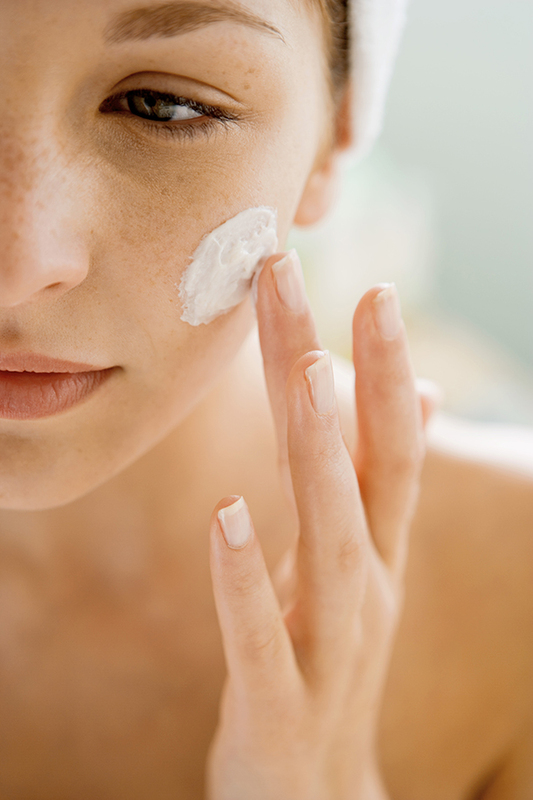 “Time and exfoliators will get rid of this.” Insert sigh of relief here!